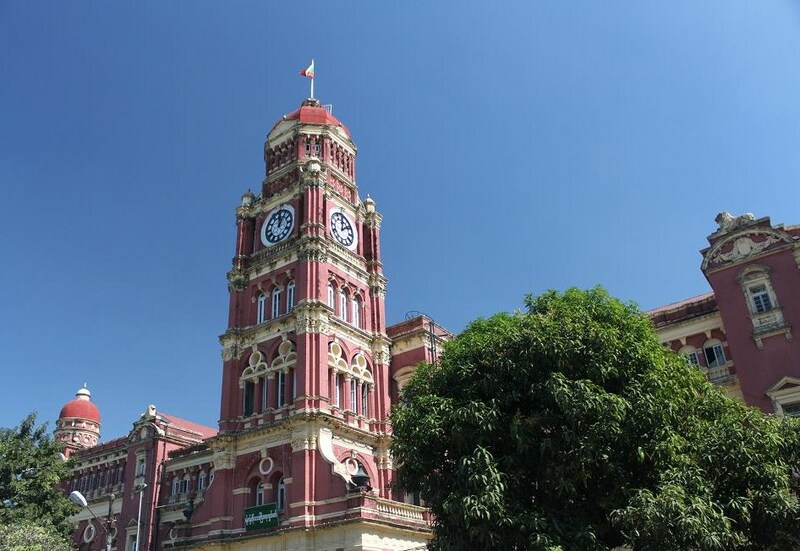 Yangon: A City-Sized Time Capsule | What an Amazing World! Dark-colored mountains covered in mist emerge from afar. Green rice paddies stretch as far as my eyes can see. Tiny glimmering golden pagodas mark some spots amidst the green tapestry. No skyscrapers, only houses and other low-rise structures. When the plane landed on the runway of Yangon International Airport, it was quite a surreal feeling for me. Finally I made it here, a country which has been under isolation for decades, a country that occasionally makes the international headlines, but always for bad things. It is Myanmar. To begin with everything, let us go through the naming issue first: Myanmar or Burma? 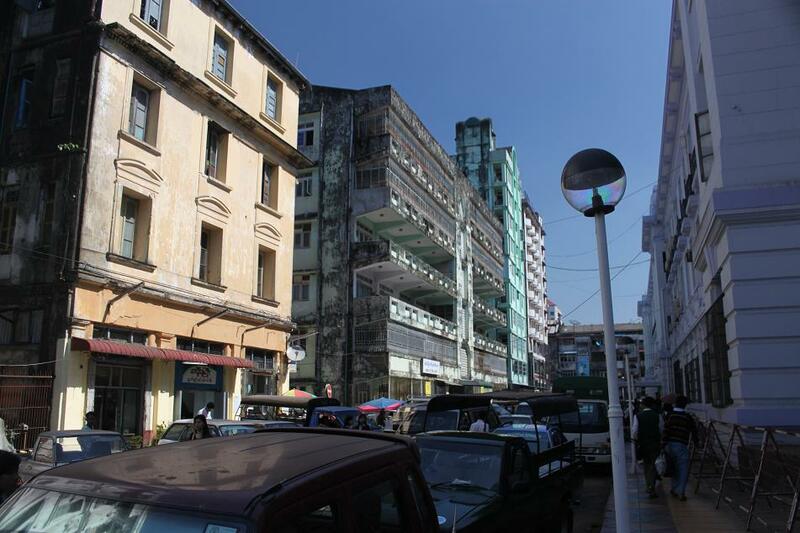 Yangon or Rangoon? During British colonial rule, the name of this particular corner of the world was Burma, after Bamar, the ethnic majority who dwell the area. 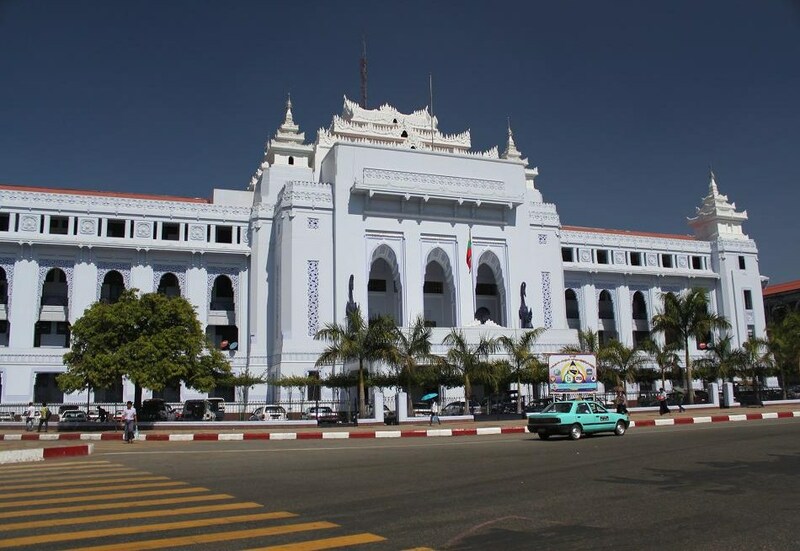 However, after its independence from the British Empire, other ethnic groups also found the state of Burma a place to flourish. Despite the fact, it was not until 1989, a year after the military junta took over the country from the authoritarian civilian government, the country got its new name: Myanmar. However, a number of governments of foreign countries opt for Burma to name the country, but some others choose to use the new name. Now about the name of the country’s biggest city which is much simpler than the country’s name conundrum. 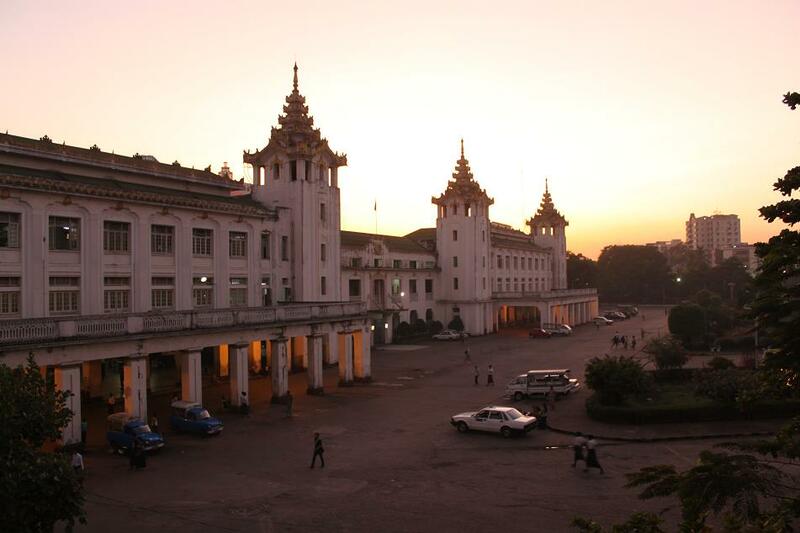 As with other British colonies who had their names anglicized (Bombay for Mumbai, Calcutta for Kolkata, etc), Rangoon is an anglicized version of Yangon. For me myself, I choose to use Myanmar for the country, Burmese for anything related to the country and Yangon for its biggest city. Apart from the naming confusion, the country itself has always been considered as one of the most authoritarian countries in the world. But if you keep on updating the news, there has been some unprecedented yet surprisingly good news for the last few months. It all started with the first election in decades to form a civilian government which was seen with skepticism since many of the former military generals were the ones running for seats. However, after the new government was formed they started doing rather radical reforms: releasing Aung San Suu Kyi from house arrest and letting her run for the upcoming by-election, loosing control over the media (previously no media ever dared to put Aung San Suu Kyi’s photographs on its front page), releasing some political prisoners, postponing a dam project which potentially damages the environment, and the list goes on. Nonetheless, having heard so many good news from the country recently, we still have to wait and monitor closely to ensure things do get better for longer term. Yangon itself is one of the most fascinating yet bizzare cities that I have ever been to. As soon as leaving the sleek and modern airport, I instantly noticed old cars on the streets which many of them were manufactured far before I was born. Another sight that caught my attention was the piece of cloth, called longyi, which is still worn by most Burmese men, while the women still wear yellowish traditional make-up as sun-protector. But to get a very true feeling of how the city defines itself, go to Sule Paya which acts as the focal point of the city. 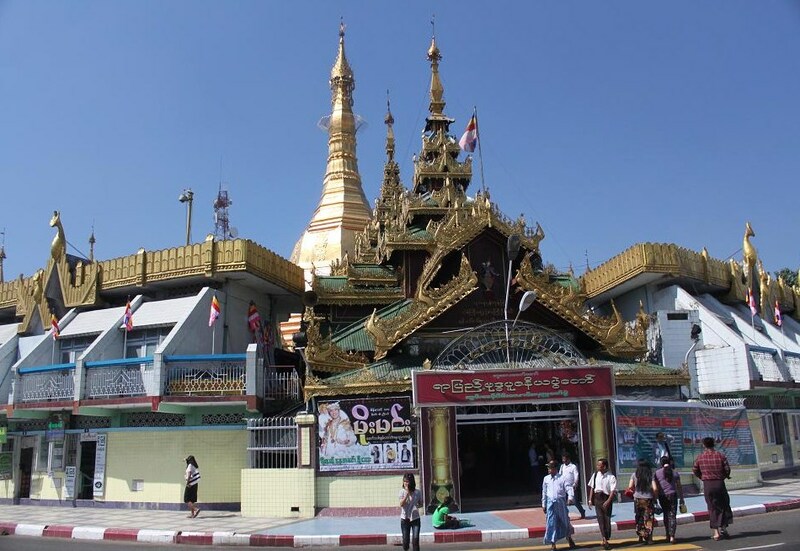 Located in old British colonial neighborhood with grid-style streets stretching blocks away, Sule Paya with the 2,200 years old Sule Pagoda right at the center of it where oldies live side by side with new things is the perfect place to start exploring the city. I looked around and got the perception that many things have not changed here since British colonial rule. However, signs of modernization do appear everywhere, one of them being a flashy large LCD screen just around Sakura Tower (one of the city’s limited skyscrapers). However, for me the city feels like a time capsule in itself. A visit to a new country would not be complete without trying local dishes, hence the reason for me to try some. 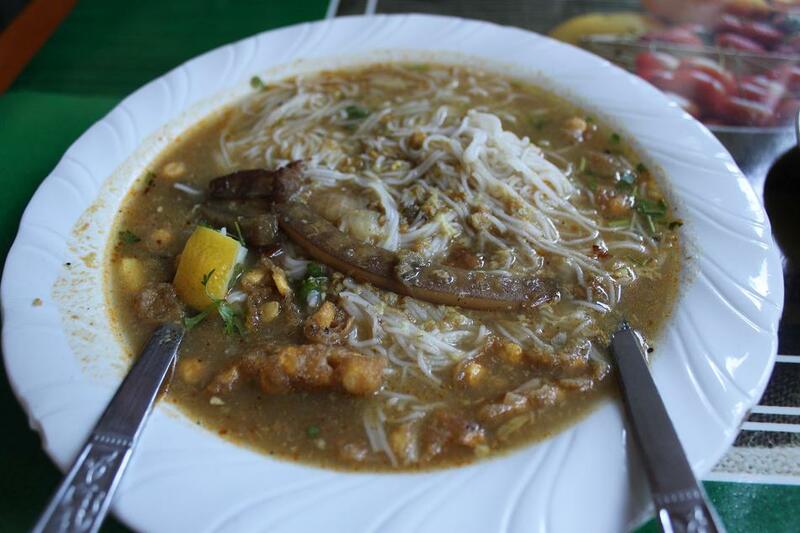 First was Mohinga (I still cannot say it the way local people do which sounds like mo-hee-waa) which is a dish of rice noodles with fish gravy, vegetables and lemon. For the drink, I had a cup of local tea which is very intense in flavor and dark in color but has a hint of honey which gives a lighter note to the tea. I also tried Nangyi salad which looks like the Burmese version of spaghetti. Downtown Yangon is quite walkable actually. 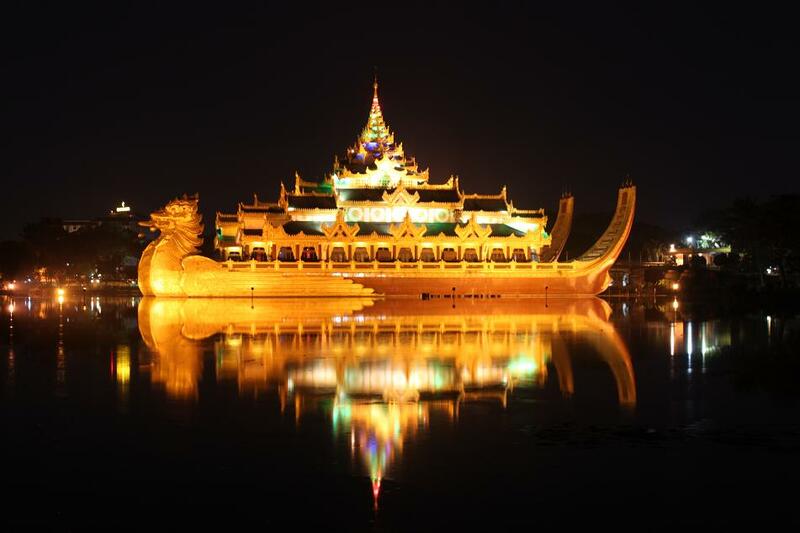 I always walked everywhere I went, including to Sule Paya, the train station, Bogyoke market, Kandawgyi Lake where the replica of Karaweik (Burmese royal barge) is located, even to Shwedagon Paya (more on this on another post). But mind you that they are not close to each other either. However, if you do have plenty of time then I suggest the walk. Generally I feel very safe walking around Yangon by myself, even at night. But common sense is always the best thing to have anywhere you travel. However, in this trip I did not manage to go to Bagan as previously planned due to time constraints and limited flight availability. Hence it will be a reason for me to pay this country another visit one day in the future, which it truly deserves. Once again, i have read your profile with so much joy! Every time i read it i feel as if i would be there, and that’s a VERY good thing. I never got the chance to travel (not yet at least) outside my own country so that makes it even more exciting for me, because through your words and pictures, i am able to explore as well. Thanks for that and keep up the good work. Thanks for your support, Tamy! Wow Bama. Very informative! Thoroughly enjoyed reading! I’m in. but i hope “future” means less than 12 months time..really want to see it! Pingback: Shwedagon: More Than Just Another Pagoda « What an Amazing World! 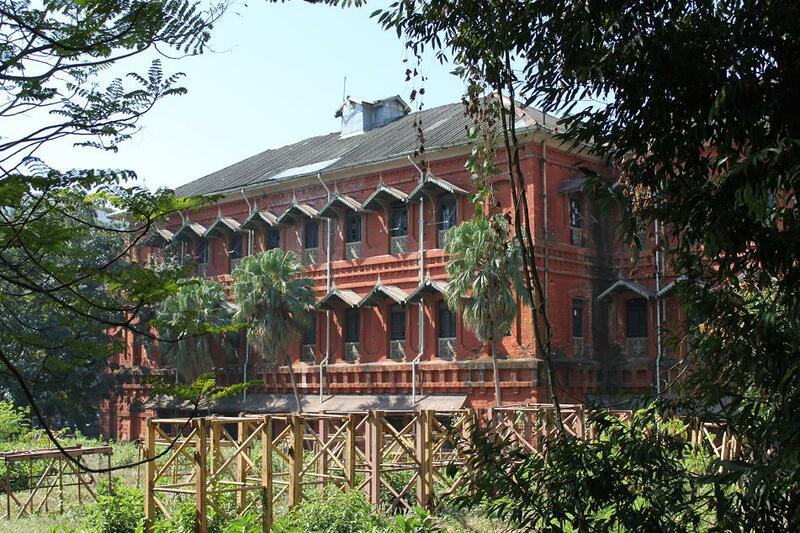 Yangon looks like a fascinating place – I’ve been told there are a lot of colonial buildings left over from the British era! Pack your bag, book a flight, then go! 🙂 I think you’ll love the city for its abundance of British colonial buildings. Bama, that last shot is stunning!! Your posts make me want to visit these exotic places so badly!!! Thanks for sharing! Thanks Adam! It was taken in a very dark park a little north from the city center. I really want to go to Myanmar again in the future. The country has so many to offer! Are you from Indonesia? (because from your gravatar you look like one! :)). Well, that’s why I call Yangon a big time capsule. 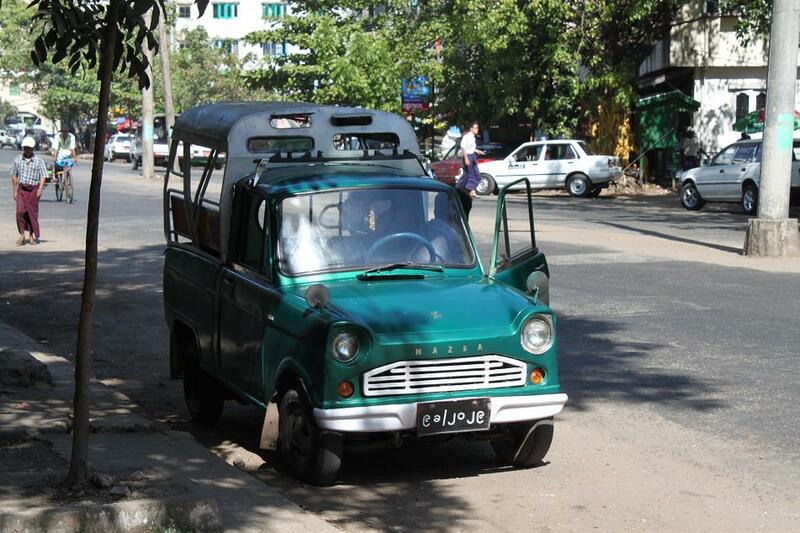 Things that have disappeared from other cities in Southeast Asia still make everyday sight in Yangon. Love that actually. Well, can’t hide it …Yes I am and as you said Yangon is still somewhat preserved and hope will stay that way or at least for awhile…Check out my blog on Yangon http://wp.me/pDYuL-137 Was there last January. You have some nice posts on Indonesia. Keep up the good work ! 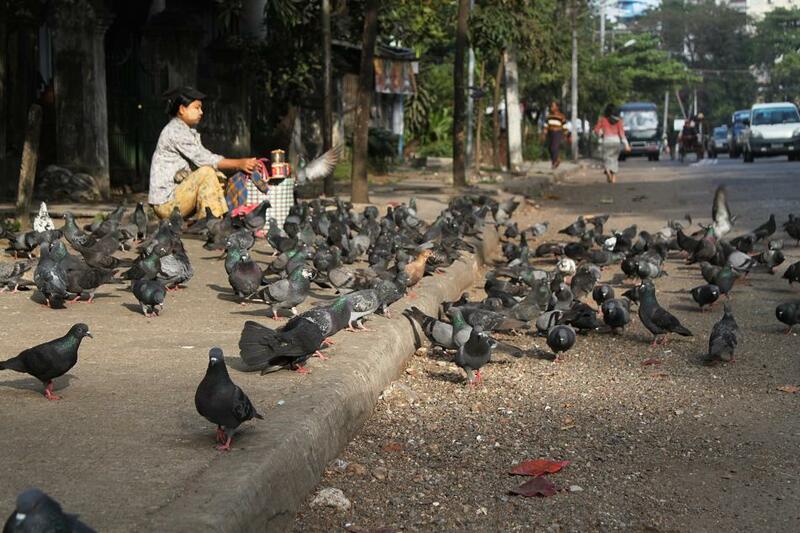 Hey I also went to Yangon last January! I wonder if we ever bumped into each other at Yangon streets 🙂 Thanks for the encouragement! 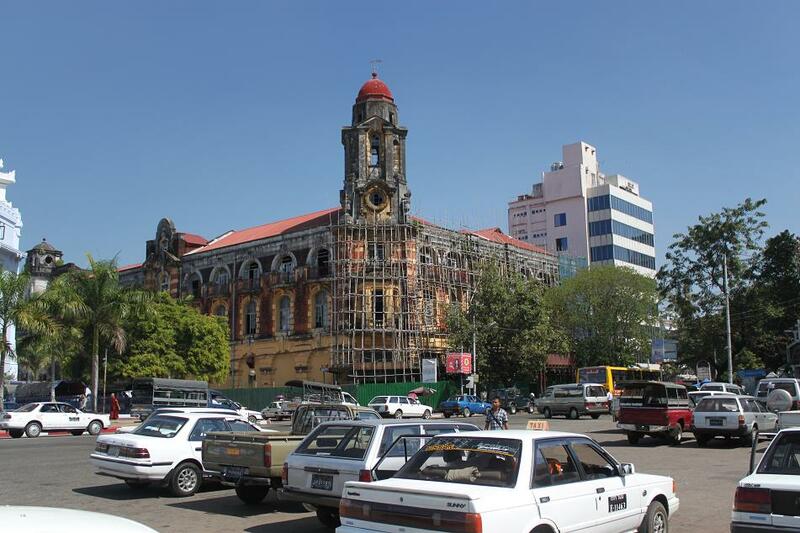 Nice post about Yangon. The old building near Bogyoke Market is actually going to refurbish into 5 stars hotel. I heard they are going to keep that old main building and just going to renovate it. I don’t understand why you used the words “Replica” for Karaweik. Karaweik’s construction began in June 1972 and it was finished in October 1974 and this is the original Karaweik in Myanmar. Hi Mabaydar! Oh that’s great! I was wondering what they’re going to do with that lovely old building. I’m really relieved they decided to keep the original shape. About Karaweik, the word replica refers to a source which says that it’s built for a restaurant, not a real royal barge. And when you said it was constructed in 1972 that means Myanmar was no longer a monarchy by then I believe. Makes me reminisce of my favourite country. Great post! Unfortunately on that trip I only visited Yangon. But I’m planning to go back to the country within a few years’ time to visit Bagan, Mandalay and Inle Lake. Thanks Lukas! Very well noted, Lukas. Thanks a lot for the recommendation! Damn, now I miss Burmese food!! 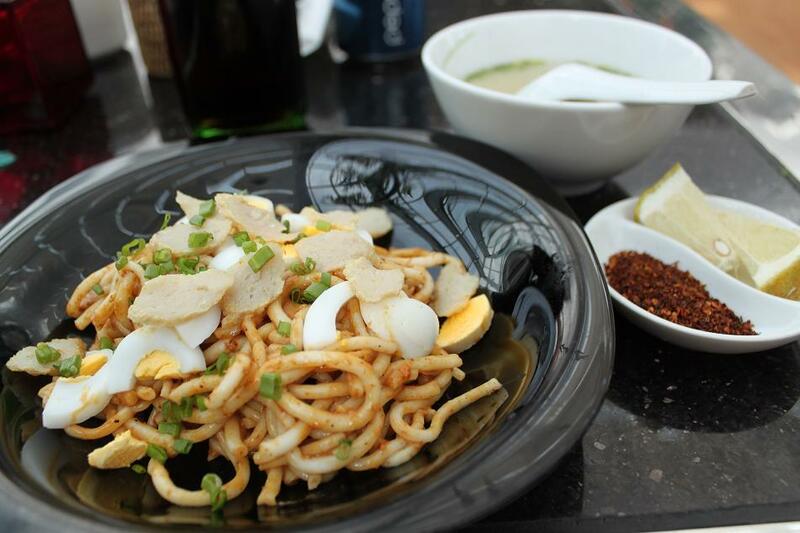 I believe you tried lapatho (tea leaf salad) too right?Thanks for sharing this! Ahh I missed that dish! Oh well, that’s another reason for me to go back in the near future. 🙂 You’re welcome Freddy! I was solo there in 2011 for charity work and it is nice to read your views on Yangon. There is a whole other layer of it for me as I was born in Yangon but my family migrated to Australia when I was about 4 years old. Now I am going back for the second time with my mother in October. There is definitely something unique, fascinatingly beautiful and yet scary about Burma. Thank you, Prunella. Some of my friends who went to Myanmar after my visit told me how some of my descriptions on Yangon have changed. Modernization has clearly come to the country, and I can only hope that they preserve those beautiful British colonial buildings. 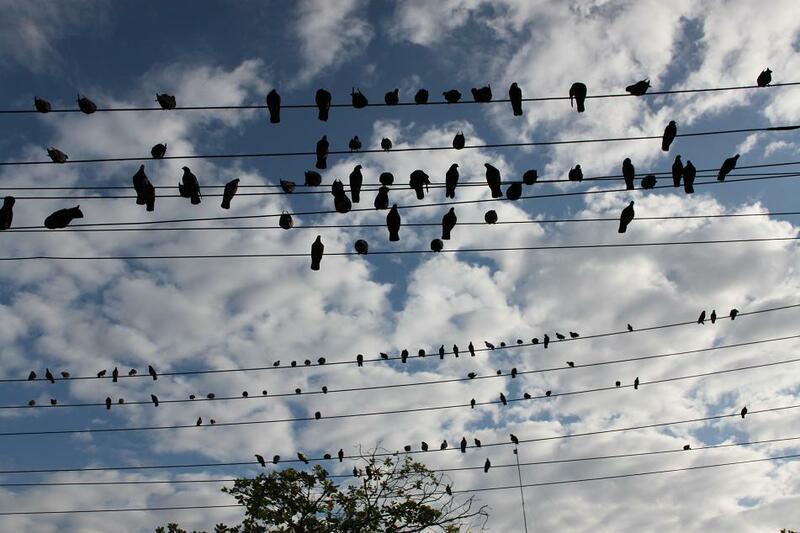 Have a great time in October! So interesting to read this post. In one day we will land in Yangon, Myanmar. I am beyond excited! I cant wait! We are planning to travel to Bagan and further North. I am looking forward to blogging about it. Thanks for this first mini introduction. The food looks yummy. Wondering how your experience with the market was for you? We love markets. Then we head to Indonesia… We have been to East Bali and to Yogyakarta and loved both. Deciding between Sumatra or other? Four weeks is our rough time frame. Any suggestions? 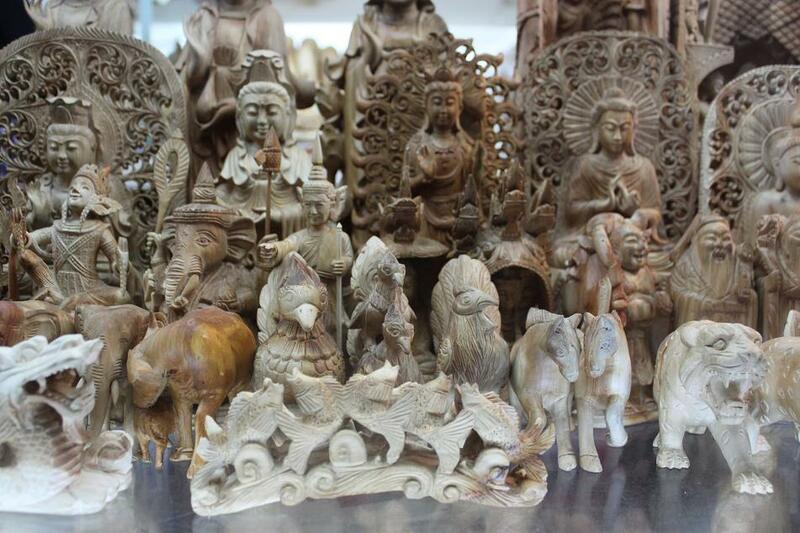 We love architecture, nature, ethnicity, food ( naturally) and the adventure of paths less traveled. Hi Peta. Myanmar in December should be nice. In Bagan you should hire an e-bike to explore the vast archaeological complex so you can manage your time more efficiently. We did see traditional markets in Yangon, and they’re as chaotic yet fascinating as those in Indonesia. 🙂 I would recommend Sulawesi. A few months ago I spent about a week in South Sulawesi, but I wish I had more time. Not only breathtaking natural landscapes, the island is home to some of Indonesia’s most unique traditional cultures, including that of the Torajan people. Pingback: Yangon, Three Years Later | What an Amazing World!